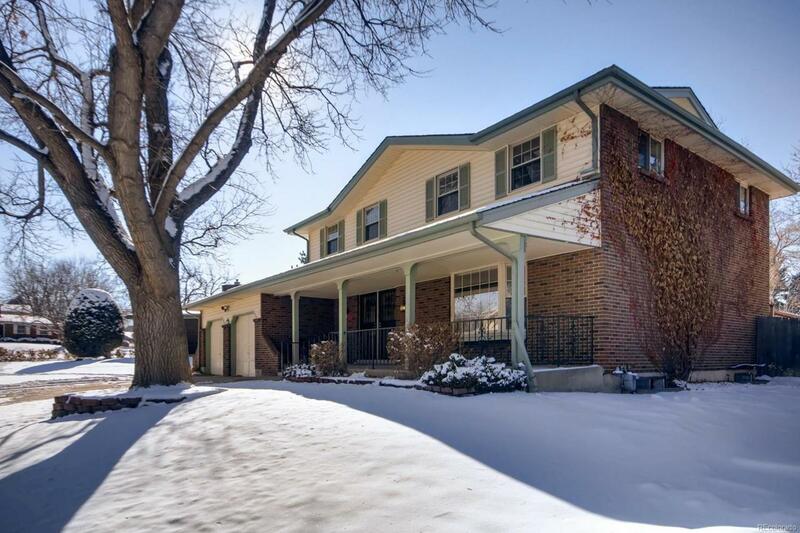 Beautiful home in Pinecrest a coveted area of southwest Denver. On a dead end street with very little traffic. Customgranite counters and cabinets. Updated bathrooms. Brick and maintenance free vinyl exterior, new vinyl windows, new 50 year roof, upgradedkitchen with formal dining room and large living area. Huge lot with a covered patio, large yard, and sprawling deck. Deck and back yard can beeasily used to entertain or just enjoy the peace and serenity it provides. Dog run or garden area. Two bedrooms were turned into one to make ahuge master bedroom and walk in closet. Updated Italian style tile themed 5 piece master bath. Large second and third bedroom on the upperlevel have access to another fully updated Victorian charm bathroom. Finished basement with 2 non conforming bedrooms, another bath, andgreat rec area. An exceptional home with may custom upgrades and style you don't see anymore. Definitely a must see!